The opening at the center of the eye is known as a pupil. It allows the light to enter and go through the lens and thus the image gets focused on the retina. Certain muscles control the size of the iris and they work in two groups where one pulls the iris wider and the other squeezes it smaller. The primary function of the pupil is to regulate the light that travels to the retina. In low light conditions, the pupil dilates to allow more light reach the retina and when there is too much of light, it constricts itself to save the eye from excessive exposure to light or the harmful ultraviolet rays of the sun. 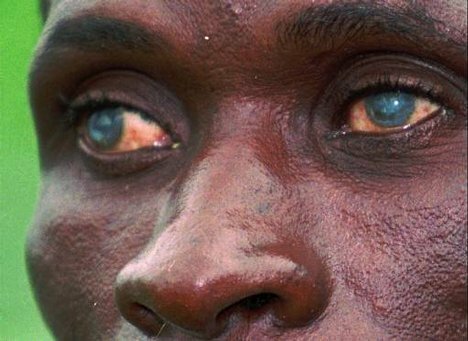 Dilated pupils are also known as mydriasis and may occur due to a variety of reasons such as brain injury, drug use, presence or absence of sunlight, etc. In some cases, one pupil is more dilated than the other and is termed as anisocoria. Low Ambient Light – This cause is closely linked to the primary function of the pupil as it is meant to control the light that enters the iris and reaches the retina. In low light conditions, the pupils get dilated to allow more light enter and reach the retina. It helps to see in spite of low light. Anticholinergics – Mostly found in prescription drugs, they block the transmission of certain chemicals to certain glands, muscles and the eyes. The dilated pupil is among the several side-effects of anticholinergics. It may also cause dizziness and blurry vision which can be avoided by stopping the use of the medicines. Drug use – Use of hallucinogenic drugs affect the serotonin receptors in the brain. On the contrary stimulants like cocaine, ecstasy, crystal methamphetamine, etc. increase the levels of serotonin. Such conditions may lead to dilation of the pupils. Along with this, drug use may also cause abnormal heart rhythm, nausea, addiction, liver damage, behavioral issues, weakening of the immune system, etc. Mydriatics – To evaluate eye health, the doctor needs to examine the retina and other structures that are present deep in the eyes. A substance known as mydriatics is applied to the eye to dilate the pupils to make the examination easier. A yearly eye check-up is advisable for those who suffer from high blood pressure or diabetes. Mydriatics are also used to reduce pain-causing spasms of the ciliary muscles in the eye. The dilation takes about 4 – 8 hours or a maximum of 24 hours to get back to normal. The eye’s sensitivity to bright light may increase while the pupils are dilated. Herbs and Toxins – Certain plants are used as herbs to treat various conditions. Plants belonging to the category of herbs such as the Datura stramonium and jimson weed plant can be used for drug abuse as they cause euphoric effects. 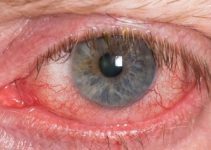 These herbs contain substances such as anticholinergic, scopolamine and hyoscyamine that often results in dilated pupils. Carbon monoxide, methanol and cyanide are toxic substances and exposure to them may result in mydriasis. The venom of certain snakes and funnel web spiders also has similar effects. Oxytocin – Mild dilation may be caused due to increase in oxytocin levels. Intimate social or physical interactions with others, as well as exercise, may lead to increased release of oxytocin. It is responsible for psychological effects like sexual arousal and emotional attachment. It also helps to heighten response to human faces and its presence is significant during childbirth. 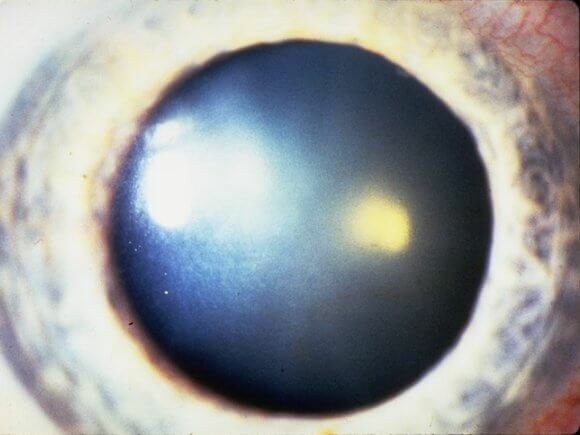 Eye Disorders – The iris and the adjacent structure called the ciliary body is known as the anterior uvea. Inflammation in this area is known as anterior uveitis and it affects the muscles of the iris resulting in dilation or constriction of the pupils. To prevent pain and scar formation among those who suffer from anterior uveitis, dilating eye drops can be applied. Other problems that can cause dilation are glaucoma, cataract, myopia and diseases that cause blindness or near blindness. Eye surgery can also result in mydriasis. Neurological Disorders – Major strokes, large tumors or inflammation after being infected by bacteria or virus causes dilated pupils. Botulism, multiple sclerosis and Guillain-Barre syndrome are other conditions that produce mydriasis. Usually, mydriasis is accompanied by underlying symptoms if they are a result of neurological disorders. Benign Episodic Unilateral Mydriasis – It is a temporary condition in which the pupil of only one eye is dilated. The condition is not dangerous, yet it is advisable to have a complete examination of the eye and nervous system to check for any other serious health condition. It is accompanied by blurred vision, sensitivity to light, mild headache, eye pain, etc. Cranial Nerve Neuropathy – It refers to damage to the nerves connected to the eye. Mydriasis could occur as a result of this condition because the oculomotor nerves are responsible for the constriction and dilation of the pupils. Symptoms such as impaired vision could be experienced and the condition can affect both the eyes. Treatment for Drug Withdrawal & Poisoning – A specific treatment procedure such as a multifaceted drug treatment is required. It includes medical monitoring, counseling and social services. Poisoning due to the intake of certain herbs or other medications may also cause dilated pupils. Hospitalization – A person may need to be hospitalized or kept under intensive care to treat serious neurological conditions such as head trauma, intracranial hematoma, hemorrhagic stroke, brain tumor, high intracranial pressure, ruptured brain aneurysm, intracranial hemorrhage, etc. Artificial substitutes – Colored contact lenses with small pupil could be worn to avoid surgery. It helps because most often the pupil is dilated without any connected health issue, it does not cause much difficulty. Surgery – Surgery may be conducted to make the pupil smaller. A purse-string suture is applied to the surgery. These sutures are also applied during cataract surgeries to minimize complications. If the pupils are observed to be dilating in bright environment, a doctor or an optometrist must be consulted. Even in cases when one pupil is observed to be more dilated than the other, medical advice must be sought. A proper examination of the eye will help to rule out any other underlying causes that could signal towards a serious health issue.